Sonography is a simple, inexpensive, and non-invasive diagnostic modality. Although tissues behind bony structures and deep tissues are not delineated, sonography can depict superficial soft tissues very clearly. In the head and neck region, however, it has not yet been used widely, as the anatomical structures are complicated, and considerable experience is needed both to perform an examination and to make a diagnosis. To perform examinations efficiently, operators must be familiar with the sonographic system in use, and take images at standard planes. To make a correct diagnosis, operators require knowledge of the sonographic anatomy on standard planes, representative sonographic signs and artifacts, and common diseases and their typical sonographic findings. In this paper, we have explained the sonographic anatomy on standard planes, and the sonographic findings of common diseases in the oral and maxillofacial region. Mayumi Shimizu and Warangkana Weerawanich declare that they have no conflict of interest. All procedures followed were in accordance with the ethical standards of the responsible committee on human experimentation (institutional and national) and with the Helsinki Declaration of 1975, as revised in 2008 (5). Informed consent was not needed for the study. The manuscript does not contain identifying information of patients. Shimizu M. Sonographic differential diagnosis of the parotid gland tumors with the cases at Hamburg University [Internet]. Dept. 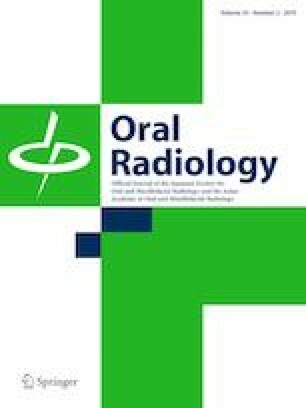 Oral & Maxillofacial Radiology Fac. Dentistry, Kyushu University. 2003. http://www.rad.dent.kyushu-u.ac.jp/US/English/main.html.